Heart disease is the primary cause of death and disability in Western countries. Research indicates that nutrition and diet play key roles in both preventing and causing many types of heart damage and dysfunction. By understanding the complex relationship between diet and disease, new prevention measures can be established and millions of lives can be saved. 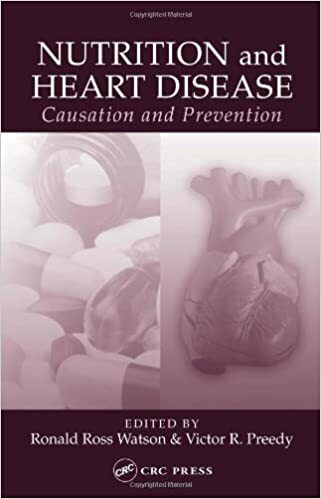 Featuring the most current knowledge from authoritative sources, Diet and Heart Disease: Causation and Prevention reviews the impact of nutrition and diet in the prevention and treatment of heart disease. The book explains how dietary agents such as fats and alcohol can increase as well as reduce the risk of cardiovascular disease, discusses the effects of various nutrients, and presents information on special diets that have been known to affect cardiac health in populations around the world. Providing insight into myriad dietary factors related to cardiovascular disease, the text also addresses the ways that nutrition intervention and treatment directly influence heart health. This comprehensive desk reference will benefit nutrition and cardiovascular researchers, primary care physicians, and dietitians in the race to reduce this deadly disease.